The President of Sri Lanka for the next five years (assuming the constitutional reforms are passed in parliament) is Mr. Maithripala Sirisena. However, it appears that the new political race, precisely owing to the reforms, are for the Prime Minister post, and possibly that of the Leader of the Opposition. The same kind of politicking that was there for President, Chief Minister and Mayor is now being played out for the PM post! Even parties within the coalition, including the SLFP and the JHU appear to place their stakes on it, rather than being eager to usher in a new political culture, that this government got the mandate for. Quite ironically, it is those outside the government, namely the JVP and the TNA who see that the only absolute requirement before Parliamentary Elections are called, is to pass the 19th Amendment to the Constitution of Sri Lanka. It appears from the conversations that I hear in public – particularly within party politics, but also in the corridors of education – that we Sri Lankans are hooked on the notion of a ‘strong leader’. What the leader stands for is almost secondary. The current President’s moderate and democratic rule is considered too ‘soft’ or ‘weak’ and not good for the country. We need a president who can ‘stand up to the Western powers’ is a common sentiment echoed across even the so called intelligentsia (misleading the general public to think that this is even possible for a county of our size). Dr Dayan Jayatillaka is probably one of the best examples of this admiration of near-dictatorial leadership as the ‘need of the hour’ (not to mention decade). It seem as if our culture is hard-wired to hero worship such leaders. Any other model of leadership is considered inferior and weak. This model of leadership has been described using the ‘bus driver’ (and passengers) analogy. The leader is perceived as the bus driver who knows where we are headed, so the passengers (the citizens in our analogy) can be as disinterested as they need to be. Even those concerned about where we’re headed may only make their opinions known, if their opinions are sought, not otherwise. This model is safe as long as the driver is honest in seeking the best interests of all their passengers equally. It has a single point of failure – the driver, and their decision making. It carries the risk that we’d only be aware of being driven to a place far from ideal, far too late. And even in that case, to convince the driver would take too much effort, since they have already been given the mandate to take us to where we thought they would be good for us. Listening to the opinions of the passengers is strictly optional, often considered unnecessary. A contrasting model of leadership is that of an orchestra which is led by a conductor (no pun intended). This is quite a different model. It is quite alien to our culture to begin with. In an orchestra, all members (the citizens in our analogy) are expected to play their part to the best of their ability. They are not simply ‘passengers’ in the task being performed (governance in our analogy). The leader, far from being the one who makes all the decisions, has the task of ensuring that members, while attempting to play their individual role, avoid affecting each other in detrimental ways, but rather complement each other in an optimal way. It is still the conductor who can ‘make or break’ the orchestra and determine how it sounds. However, in this model, each member is responsible for playing their own part; rather than being incidental to the process they are involved in it. In other words, they need to engage in the act with their leader. They need to cooperate. As a teacher in Sri Lanka for many years I have experienced the reality of how hard it is to communicate the idea that I’m not infallible. The reason why it is so hard is that in our culture, the teacher is supposed to know everything there is to know about the subject they teach. A teacher who is realistic in the estimation of their own limitations is often taken to be weak or incompetent. In contrast, a teacher who keeps up appearances of being omniscient is held in high esteem since they don’t leave any room for being questioned on the very subject they are supposed to be ‘experts’ in (though the ubiquity of Internet access is making their stance less tenable by the day). This same phenomenon carries through to administrative leadership too. This is what allowed heads of organisations (both state and private to be sure) to lead their organisations ‘with ease’ and without worrying about how their decisions affect the lives of those they serve. They are entitled to such behaviour since this is ‘their time’, seems to be the common understanding among those less empowered or educated in our society. In January 2015, Sri Lankans – at least those who were either enlightened, or so oppressed – came together to question the status quo. It was a historic vote. For the first time, it appeared that the predictive behaviour of our citizens was somehow overridden. Whether the RAW, the Americans or the British had some role in it, there is no going behind the fact that large numbers of Sri Lankan citizens voted against the old regime. Apart from those who were most oppressed and most adversely affected, the demography of the ‘victory for change’ clearly shows that those with access to information (in the cities and towns rather than the villages) voted to defeat the old regime. This is why it is all the more important that along with constitutional reforms, not just the legal right to information, but access to it, is an essential ingredient in any modern democracy. So, what of the corridor talk and the apparent regrouping of the old regime to claim the PM position for their deposed leader? 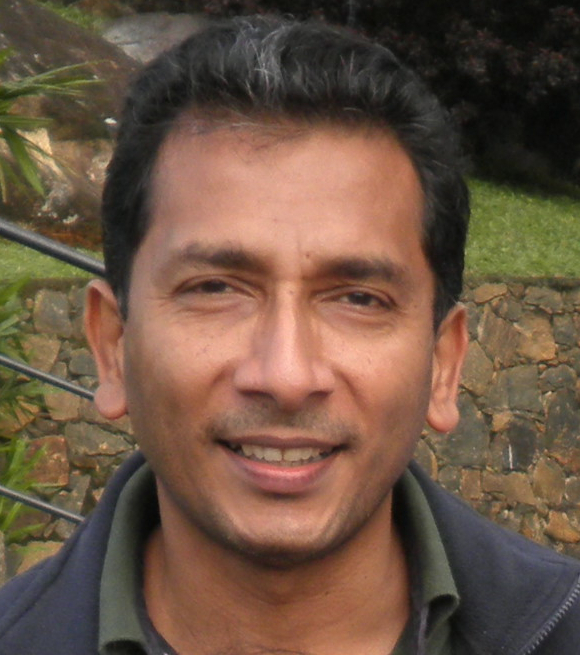 After all, its not just the 26 SLFP MPs who defied party orders to attend the Pro-MR rally who are set to lose what they gained so profitably over the past 10 years, but many others in the leadership of the party (including some who accepted portfolios in the new government recently) in whose interest it is, to be ‘not found out’ at any cost. Fortunately, they would not have access to the unlimited funds of the people this time around. However, they do appear to have funds from big businesses which they helped during their regime. While that should not be discounted, it doesn’t come close in comparison to the enormous public funds poured into the Presidential campaign (as is still coming to light). In short, the brain-washing effect of the masses would be hard to reproduce. And what about civil society? We have much to gain. Hounded by an authoritarian regime for almost anything we said, we now have almost complete freedom to say our piece. So much so that it seems we are unable to deal with it! Within the SLFP for instance, the freedom that the President of the party has given to be challenged, has been used way beyond the norms of party discipline, requiring some members of its central committee to be removed. In the media, it has led to criticism of the new government with comparisons between what they have been able to achieve in 100 days with what the previous did (or couldn’t) in 3500 odd days! The citizen is in danger of not being able to decide between the old and new regimes, owing to this mismatch between the assumptions of a true democracy (a certain base level of education) and the state of our society (especially after decades of authoritarian rule). As the enlightened, empowered citizens of our society, we have the onerous duty to educate our fellow citizens that it is vital that we continue the march we have begun, away from the feudal model of ‘lordship’ to a modern participatory democracy. Away from the bus driver and passengers model to a conductor and orchestra model. A model where each of our voices, and theirs would and should count in the direction we take our country in. A model where we no longer vote and sit back, but stay engaged between elections. A model where governance is truly of the people, by the people, for the people. The argument would no doubt be made of the ‘success’ of eastern countries such as Singapore, Malaysia and China which had ‘strong leaders’. Often this is made either by those who have never lived in those countries or those who have, but hope that their listeners have not! The ‘development’ in these countries have come at the expense of the freedom which we had come to expect from any government (though violated by successive governments over the decades). Look instead at India for a country that has gone the difficult route to slow success – a success which is not at the expense of the freedoms it cherishes. So, the way ahead: do we want to roll back time and return to the old feudal model with its reliance on the ignorance of the masses, or do we move forward embracing the new political culture we inaugurated this year, towards an educated and enlightened society which ensures the rights of its weakest members, as a true democracy should. In this age of social media and activism, there is only one way forward, let’s not slip back. 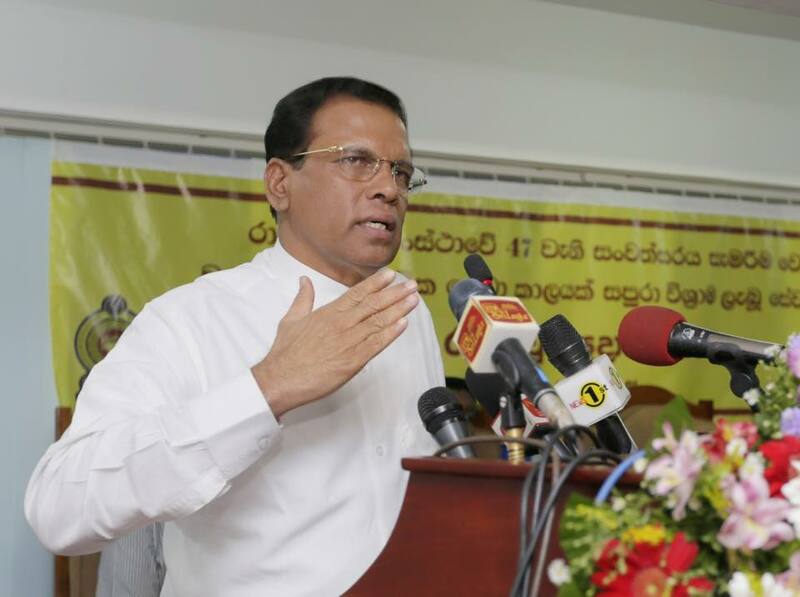 Am I campaigning for the UNP, the President or to some particular coalition that forms the current government? No! It is precisely because we cannot leave politics to politicians that I make my case. Am I campaigning for the passage of the constitutional reforms via the 19th Amendment? Yes! That’s what forms the bedrock on which any civil movement can be built. With the unbridled and unaccountable power of the Executive Presidency and with no access to decision making within government, we are at the mercy of those we elect. The 19th Amendment with its devolution of power to the Constitutional Council and the Independent Commissions together with the Right To Information clauses, are exactly what makes the orchestra model of governance possible. Should we not also worry about electoral reforms at the same time? Yes and no. They are important, but no where near as important as the constitutional reforms. They are not a ‘must have’, but possibly a ‘nice to have’. No matter who comes to power through elections (in short whatever the election system is) we need to ensure that the system of governance holds them accountable. Electoral reforms therefore can wait. Requiring them to be passed before the parliamentary election, and that too by a group which was not a party to the promises of the new regime, smells of filibustering… apparently in the hope that ‘this nightmare of ordinary people becoming empowered to find out the deeds of politicians’ will pass away, and the old regime could be brought back to power soon. Let’s make sure we make our voices heard loud and clear: we want the constitutional reforms, and a chance to elect a set of MPs who are credible – not those tainted with malpractices of the scale that is being uncovered gradually. Whether by proportional representation or first-past-the-post is only a detail which can be resolved by any new parliament so elected. 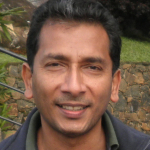 Sri Lanka; Why Still Fear In The Eyes Of Camera?